TermiCare Pest Control is family owned and operated, located in Torrington, CT and serves the Litchfield, Hartford, New Haven Middlesex and Fairfield counties. We are registered with the State of Connecticut Department of Environmental Protection (Lic. # B-2095). We are members of The National Pest Management Association and the Better Business Bureau. We service commercial and residential properties. 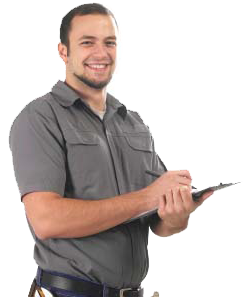 TermiCare Pest Control will provide you with knowledgeable, friendly technicians, reliable service and a 100% satisfaction guarantee. The care of your home, family and pets is our first and main concern. We specialize in the detection and extermination of termites, carpenter ants, carpenter bees, powder post beetles, ants, bees, mice, fleas and bed bugs. For your convenience we provide quarterly or monthly service plans, and will accept Master Card, Visa and Discover cards. Ask about our senior citizen and referral discounts during your inspection and receive additional savings. We are so sure that you'll find our service, guarantee, price and quality of work to your satisfaction that we want you to take advantage of our FREE HOME QUOTE, call us at 888-671-0287 to schedule your home inspection.